aquapetz.com • Out door tub. I've got a out door tub for my single betta who's guarding the eggs (female removed after eggs were laid). Today I saw a toad sitting on the rim of the tub. Just wanted to check if there's any trick to keep these things at bay. I don't want my betta fry (or worse the betta) to be eaten. 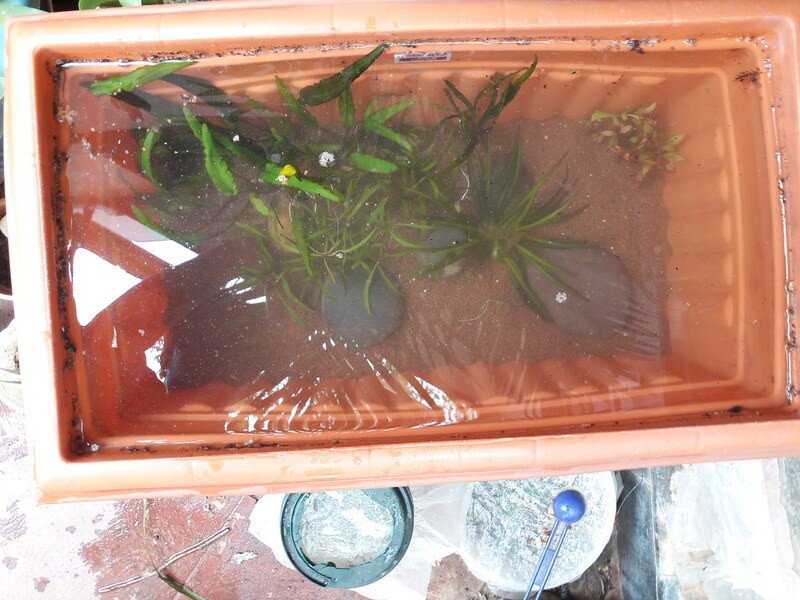 The tub is about 1.5 ft dia and 1 feet deep, with good amount of plants. I'll try and post a pic tomorrow. 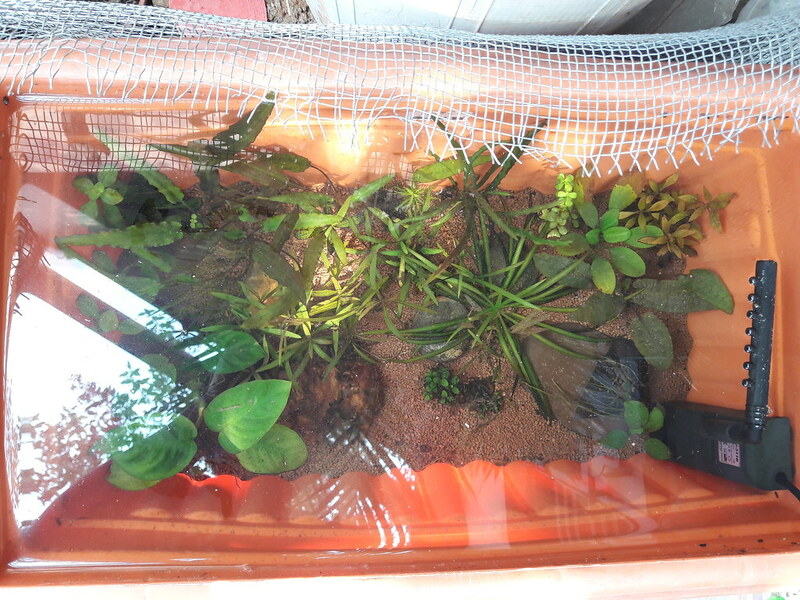 Cover the tank with plastic net. So, my planted tank lights went bust. Had to shift all the plants to outdoor tub and let them grow with Nature's mercy. This is a 2 feet x 15" (width) x 12" (depth) plastic tub. Substrate is garden soil topped with JBL Manado. 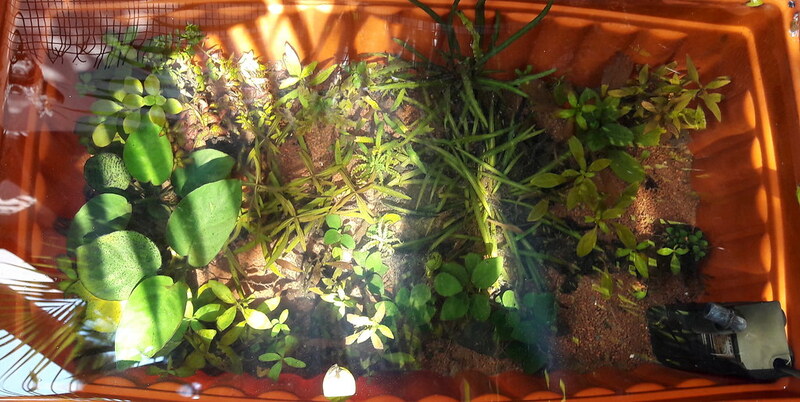 Plants added: crypt wendtii, Tenellus, Pinnatifida, Reincki mini, Ludwigia palustris and H. Araguaia. Let's see how they grow. I will add a tiny filter in the weekend and start fertliser dosing too. Let's see how this turns out to be. Added more plants and here is yet another update.